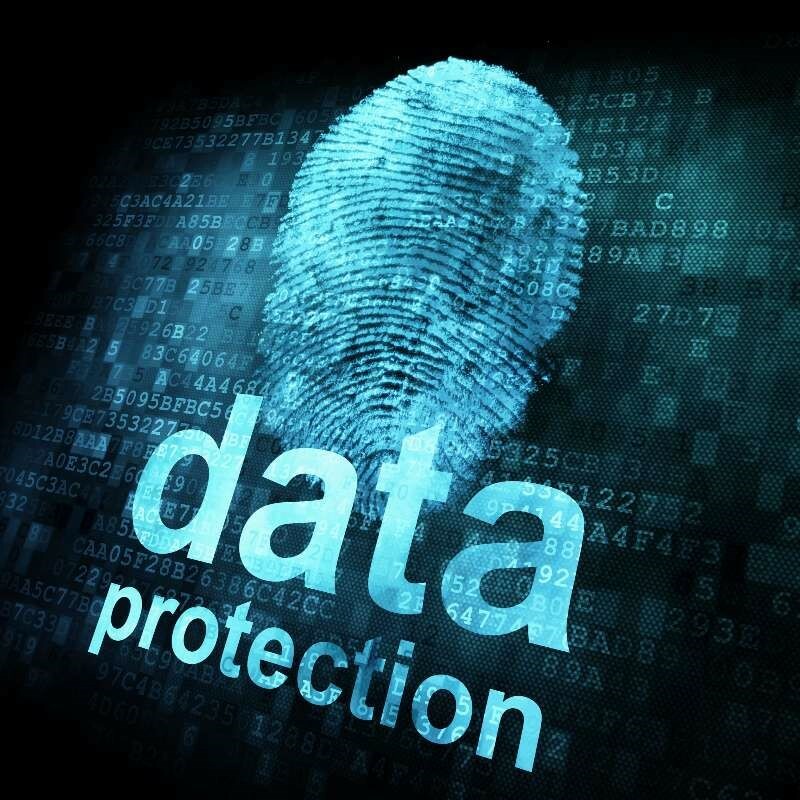 The EU’s General Data Protection Regulation (GDPR) will come into force in the UK at 25th May 2019. It will change the methods of how companies and individuals collect, store and share data . Under these rules, companies who rely on individuals’ consent to collect their data will face tougher restrictions. Therefore, the implementation of GDPR will exact a huge impact on the British society where engineers are main actors. The main issue for engineers is to develop a system to enable individual completely control their privacy information. GDPR is implemented to enable individuals to have rights to control their personal information. In the absence of legal constraints and technical support, people might be harmed. Individuals should have full control over their personal data. Losing control of someone’s personal information is losing control of someone’s life and dignity . Privacy is essential to freedom of thought, speech and activities. To recognize a person as an individual person, it is necessary to let him live in his own way. When someone cannot control information of himself, he loses considerable autonomy. Everyone needs private space to escape social rules, they should be able to behave without being dictated by surroundings . It will be fine for people to speak unpopular words and share ideas which their friends dislike. If someone knows that his behaviour and position are constantly being observed, commented on or even criticized, it is harder for him to do anything unaccepted by society. Most people are afraid to stand apart and be different. Therefore, privacy is necessary as protection from excessive scrutiny if persons are to be free to be themselves. The importance of privacy can even help people restart their profession. Some examples of interviews have shown that employers are prefer to hire someone without arrest records, even when the charges have been dropped or the person has been qualified to be innocent. Thus privacy is more important as a guard in the relationship between individuals and group, it nurtures the ability to grow and improve, even reinvent oneself . Protecting privacy is protecting ourselves from danger and crime. Due to the benefits of privacy, autonomy and pseudonymity , the public may achieve safeguards. With the increase of data frequency, the possibility of hackers acquiring and using data for economic benefits has never been greater . There are many ways someone be harmed by the revelation of sensitive personal information: Medical records, psychological tests, and financial records. From now, it is important for individuals to have control over their personal information completely. According to the principal of Categorical imperative in Kantian Theory, the university principle is protecting personal privacy, which is the premise of using personal data to benefit individuals and society, and to promote the development of companies and countries. So under this circumstance, the reciprocity principle is using privacy data for common good. Therefore, no matter what the purpose of collecting personal information, it should be subject to the consent of the individual, and the individual has the right to know the flow and situation of the information and withdraw the information at any time. This is exactly what the GDPR specifies. Thus, as an engineer, he should develop a system to enable individual completely control their privacy information. Therefore, it is of vital importance to protect personal privacy, which can bring people respect, social freedom and safety. Data sharing is a driving force for the development of today’s information technology, and has become a trend . Data disclosure enables intelligent robots to serve humanity much better. Data sharing between the parties is completely permissible as long as the sharing is done in an appropriate, GDPR-compliant manner . At the same time, data sharing is very necessary. Taking artificial intelligence doctors as an example, AI only needs to learn a large number of imaging cases in order to achieve higher accuracy. Such data sharing and aggregate analysis will ultimately bring people a variety of benefits and improve the overall welfare of society. However, someone may consider these data as individual privacy, they may think that a string of bad data not only shows the poor physical condition, but also damage their reputation. As a result they may choose hide these data. Data disclosure can enable companies to identify audiences faster, find out shortcomings of their products and then confirm the next goals to better develop their products and serve individuals. In addition to the personal data that consumers are most concerned about, as well as industrial data and public data, with the advancement of the industrial Internet, more and more enterprises will go to the cloud, and many commercial secrets involving design and manufacturing will be carried to the cloud. Like personal data, industrial data involves the core competencies of companies and needs to be tightly protected. If manufacturers can share their own production data to equipment manufacturers, it will help equipment manufacturers improve their design and improve the applicability of equipment to the industry. Data disclosure is conducive to government management and social security. Governments around the world are striving to meet the expectations of citizens and the growing services and infrastructure, especially in response to the growing and ageing population . There is a driver that can establish more interaction patterns with government agencies, such as a single entry point for Critical data and authentication. There is also a need to create smarter, data-driven, personalized services and use data to support better policy and resource allocation. 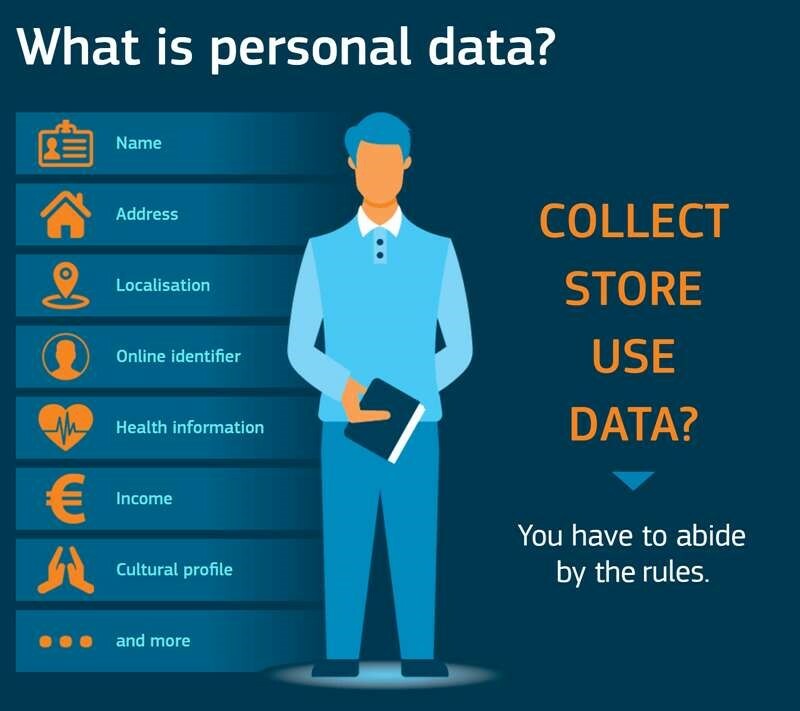 There could not be a deep understanding of the value of the data as an individual, so it will not be benefit for the development of society if let individual controls his or her personal data completely. According to Utility Principle in Utilitarianism theory, engineers should choose those actions that result in the greatest happiness for the greatest number. As discussed above, disclosing personal privacy is good for individuals, companies and the country. Therefore, as an engineer, it is necessary to develop the corresponding technology to extract personal information and then bring happiness to more people. Before obtaining users’ private data, users should be allowed to choose whether or not to share the data, or which part of the data could be shared. In this way, user friendliness can be realized and users’ rights can be protected. At the same time, developers can also acquire useful resources. Why We Care About Privacy, Michael McFarland, S.J. Understanding Amy Boyer’s Law: Social Security Numbers, Crime Control, and Privacy, Privacilla.org (December 2000) in PDF format. The content is substantial and the theme is clear. Both positive and negative views give adequate facts and explanations. Hasn’t GDPR already been implemented (25th May 2018)? The topic has good points both for and against, but in both cases the ethical arguments need to be brought further forward. You seem to be looking at how GDPR can work for us and against us, which helps establish why we might, or might not, want it, but you need to strengthen the reasoning for having GDPR in the first place. I think whether to disclose personal privacy is a question worth pondering. Whether it is open or how it is disclosed depends on the self-assertion of the parties. As an individual, there are more or less past experiences or privacy issues that don’t want others to know, as mentioned in the first part. Information relating to personal privacy should generally not be made public, but government information relating to the consent of the parties that may materially affect the public interest should be made public. How to protect privacy in such a rapid situation of today’s network development is a top priority. Although it is mentioned that the selective disclosure of privacy will bring benefits to society, it should be more in-depth and objectively dialectical in the context of the current social situation. Because the definition of publicly available personal information is very vague, so it is often used by criminals to harm the interests of victims. Excellent article! I agree that keeping privacy is saving one’s dignity and freedom. But sharing data could bring lots of useful resources. Both of the pros and cons are convincing. Great read! In my opinion, whether private data can be used publicly depends on that the person who are going to use the data or keep the data really use them in the correct and positive direction. cuz there are so many unscrupulous merchant, they sell the data illegally to obtain benefits. Therefore, it is important to effectively control these data. This is indeed a question worth exploring. When applying certain software or websites, the dialog box will always pop up asking whether to allow access to personal information. In this case, I will choose according to the credibility of the website and software. Because I hope to obtain the convenience of information resources on the premise of protecting my privacy. Good idea! In today’s information age, the dissemination of information is very important, and i suppose that the solution mentioned in the article can be effectively implemented. This blog selected a very popular topic to develop their discussions. Most of their discussions were supported with strong evidences. However, I would like to say it may be better to use some daily examples, such as the leaking of phone number can lead to phone scam. Since these problems are happening every seconds on each individual, which may can contribute to many sympathetic responses. Privacy is indeed a hot topic, many technologies companies utilise their users’ information before letting them know. They even trade with other companies. Many tech giants are facing lawsuits against privacy. I agreed with your initial idea that the best solution, is to let the user decide whether they are willing to share their information. The reciprocity principle tells us we should treat people as people, and not ‘use’ them. Data sharing is an irreversible trend and can bring a lot of convenience. However, it does not mean to sacrifice personal privacy. Companies that provide information services to users need to securely store and transmit collected user data. At the same time, if you want to use the user’s information, you must let the user have the right to know and choose. This article caused my thinking.Obviously privacy of individuals is a hot topic,and whether it should be public needs a good airing. From my point of view,the against opinions are more reasonable.For our life to be more ordered,and we can do most of things conviniently.Not everyone can manage there privacy well. I am inclined to side with the opposing side. The first is the definition of “personal privacy”, which is very vague. For example, A video about the hotel lobby shows Mr. A, so Mr. A claims that this video is his personal information. He demanded that the hotel remove the cameras and pay for them, etc., to the detriment of most people. Second, the individual has a limited horizon and cannot well realize the value of his personal information. He often refuses to share his personal information for some reasons, which may satisfy his vanity but is not conducive to the development of society. To sum up, I am in favor of the opposing view. Alough data sharing can bring a lot of benefits, personal benefit should be respected. Data should be conducted after the data owner permit it . The company should inform the users the benefit and risk of data sharing and the user should have rights to choose if they will share the data. I think the pros and cons are a bit extreme, and we need to find a dividing line between what can be fully controlled and what must be made public. This dividing line is hard to find and needs to be summarized in various cases. 1. The AI itself is an ethical problem, which cannot be used as a benefits of personal information disclosure. There is a consideration that whether the AI is serving the human beings or not or part of the humans. 2. It is right that the personal information disclosure can help the companies to provide better services, but it also help them to earn more from the customers. 3. Personal information disclosure can help the government to chase criminals. It also may involve innocent people. Therefore, it can be considered as a drawback. The debate on whether there should be limits to open personal data to the public is still ongoing. Some argued that the privacy issue is an obstacle that stops the development of technologies. However, human rights should not be left behind. While using data and information on the Internet, we should think about whether there will be people get offended or hurt during the process. All in all, the article gives some great points that worth giving a second thought on such topics. Well, in this day and age, information sharing has become a trend, and despite all the laws that protect our privacy, disclosure is inevitable. However, the data that can be Shared should also have certain restrictions. Firstly, the consent of the passive party should be obtained; secondly, personal privacy should not be used for commercial purposes; finally, the data Shared must comply with various security and copyright regulations. Personal privacy needs to be protected by laws and regulations, but it doesn’t need to be too strict. In today’s big data era, personal data brings data sources to various cloud processing, and cloud processing provides convenience to various intelligent data and optimization strategies. As the article says, data sharing does bring convenience to people’s lives, but at the same time, personal privacy violations are everywhere. I believe that personal privacy can be made public under a great protection mechanism. However, the current society does not have perfect laws and regulations as well as protection measures for personal privacy. This is part of the reasons that people are reluctant to share personal privacy. There is still much space for improvement in protecting personal privacy. The initial decision is good, as people can choose whether their information is public to society. People will make their own choices, when they find its not convenient because companies cannot provide perfect individual services, or when they find their life has been threatened, they can choose to share privacy or not whenever they want. Crime records may not be a good example for protecting privacy, if the charge has been dropped, I think the employer won’t focus on this, but if you really committed bad things, even you hide this in interview, it will become a time bomb. Both views in the article are reasonable. I have a small question: when personal privacy affects social stability and poses a potential threat to social order, should their privacy be protected unconditionally? Or is there a better way to handle it? I think personal data need to be protected.The current situation of the Internet is very bad, and the Internet violence is very serious.In such an environment, we need personal data to be well protected, which is our right and we should be protected.I think it’s only a matter of time before the data becomes public.But I think the network environment must be improved, and when the overall environment stabilizes, we can consider the openness. In this era of big data, the openness of user data and information is indeed a topic worth discussing. The structure of this report is relatively clear. The reasons analysis of the two opposites’ view is based on different stakeholders, and I agree with the final conclusions. I think the moment User data sharing and disclosure is an irreversible trend. However, the development of technology is always two-sided, and user‘s interests will be inevitably invaded in this process. Therefore, it is very important to ensure the user’s control over personal data and information. It is necessary to prevent users from “being leaked information” without knowing, and to strengthen the law role of supervision to ensure that the network platforms use user data reasonably and legally. Finally, I hope that this report can use more examples and data to explain in the process of expounding the viewpoint, and can provide a supplementary explanation for the logical process of drawing conclusions, and making the article more taxable. I think this topic is worthy to be discussed. And the points shown in this article are good. However, I believe that personal data have already been gotten by many companies and governments after entering the Network Age. These data have been used for advertisements, monitoring and even election. Therefore, we should think about how to regulate them instead of thinking whether we should public our privacy. This topic is a problem that people can’t ignore. Privacy is something that everyone has. If it’s public, it can’t be called privacy. So I don’t agree with it. Nowadays, personal phone numbers are leaked by all kinds of things. It is intolerable that people will receive a lot of harassment calls in a day. The key point of this article is very clear and important: personal privacy data. During the modern society, people always keep touch with the internet and build their own account with their personal data, share life pictures and experiences with friends by using network. As we all know, big data time can recommend us things we love and used to research, but it will cause unexpected consequence which may hurt us. So we should carefully share personal data. The situation of personal privacy disclosure is so serious that it must be strengthened to protect it. Even a simple phone number leak can lead to countless harassing calls and scam messages. If you want to share technology information, you can talk with specific companies, or there are other ways to achieve the purpose. The writing is very clear, and it seems that both statements are reasonable. However, in my opinion, data disclosure does not necessarily harm personal interests, but also enables manufacturers to have a clearer understanding of customers’ feelings and what they need. So consumers themselves can get more comfortable products, why not? Nowadays the crime quantity keeps increasing due to the use of information leakage, the consequences will become very serious.Everyone should have the right to protect their privacy and security and the awareness of self-prevention.But at the same time, we cannot ignore the necessity of information exchange in today’s society. Many times we have to trade some of our information for more needed and valuable information, which is also a way to make work operate and improve the quality of life. Therefore, I fully agree with the final conclusion that privacy should be freely and selectively disclosed. This article clearly analyses the advantages and disadvantages of publicising individual privacy. The first graph introduces the importance of protecting privacy in detail. It provides specific example to tell us why we should protect privacy completely. Every should have the right to speak unpopular words and share ideas which their friends dislike, we need to be different and keep our own belief, society needs not only main basic speech but also other strange opinions, these different voices make our world wonderful. I think that the decision to protect personal information is in my own hands. It is like two things in most things. So we also need to discuss different solutions by case. In some cases, sharing personal information will facilitate you. Of course, there are situations where we have to provide personal information to ensure our own safety. Great ideas of importance of protecting privacy completely, this article tells me that share privacy data not only brings convenient shopping, life but also be disturbed by stranger. Users should carefully read the clause of searching without clicking ‘accept’ easily. Personal information security issues are indeed getting more and more attention. There have been arguing about related issues. But I think the disadvantage of public information is greater than the benefits. For now, many related systems and laws are still not perfect. With the growing development of the Internet, more and more people are “sunning happiness” through micro-mail, micro-blog, QQ space, social software, etc. Some of them have sunning meals, travel, family, children, life and work. At the same time, personal information is exposed to all, as long as through the collection and simple analysis, personal and family members information will be fully reflected. If these personal information is seen and used by people with different intentions, it may cause certain harm to the property and personal safety of individuals or family members. Why do kindergartens always face fake collar incidents? It’s also because some illegal elements analyze the personal information of some happy people through network organization, so as to know what school, what class, how old and what kind of children look like, the names of children and parents, and the address of families. Wait a minute, so, in order to make everyone happy, please parents while sunning happiness, please pay attention to protecting the privacy of individuals and family members, do not sunk happiness into regret! In order to protect children’s safety, parents should pay attention to protecting their privacy. Schools should also strengthen safety measures in this regard. Zhimaitong Electronic Technology Co., Ltd. introduced the validation gate of palm vein in kindergartens to effectively eradicate the occurrence of fake collar children. Sometimes individuals just doesn’t care the government data collection for so-called service improvement. What if the government cannot protect the data properly? Even iCloud got hacked, why should I believe the government can do better than Apple? It is my own right to say whether my personal data could be shared or not. It shouldn’t be a governmental decision. I would prefer offer a choice to the general public to decide whether to keep their privacy. Individuals have the right to choose whether to disclose their privacy. The privacy information disclosed may be used by criminals, causing unpredictable harm. Although the protection of privacy may become a barrier to the development of technology, no matter when the technology develops, people’s rights cannot be given up. On the one hand, although data sharing sacrifices personal privacy, it protects the public interest and facilitates the government and institutions to maintain social security. To some extent, data sharing enhances social stability. On the other hand, it is difficult for individuals to judge the value of privacy and inappropriate judgement may be a barrier to the development of technology. Data sharing can promote the development of technology and feedback of information, and data sharing disrespects people’s right to choose. However, whether to choose to be share or not, the standard of judgment is not easy to set, and both sides need to continuously explore to the extent that both sides can accept.